As a recent Washington Post article points out, a diagnosis of Alzheimer’s Disease or early onset dementia can derail even the best financial retirement plans. With 5.4 million Americans now living with this incurable disease, and thousands more expected to be diagnosed in the near future as the Baby Boomer generation turns 70, addressing the financial realities of the disease has become increasingly important. 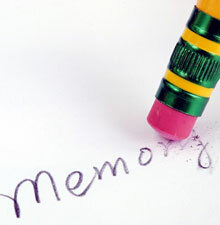 Problems handling finances can be one of the first indicators of dementia. Individuals with early dementia often begin failing to pay their bills, giving away money that they need for basic needs to charities instead, and unknowingly entering into financial scams over the phone or Internet. Dementia also can negatively impact an individual’s financial situation, in that it can knock an individual out of the workplace at a much earlier date than expected, which can result in a substantial decrease in Social Security benefits. The best way to combat financial problems and losses is to prepare for this eventuality is to take measures to protect yourself before you become cognitively impaired and unable to do so. This allows you to make decisions about how you want your care and financial affairs to be handled after you become incapacitated. By choosing someone as your health care representative and/or executing a living will, you can make arrangements for your healthcare decisions to be made in the future when you are unable to do so. Likewise, you can execute a basic will and designate another person to handle your finances through a power of attorney. This ensures that your assets are handled in the manner that you see fit during any periods of incapacity, and that they are distributed in the manner that you choose and to whom you choose. 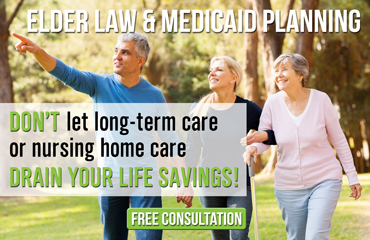 The experienced Michigan elder law attorneys of Law Offices of The Elder Law Firm PC are here to help you through the aftermath of an early dementia diagnosis, no matter how difficult your situation may be. We can look into the circumstances surrounding your financial situation and assess the potential impact of your diagnosis on your life. Contact our office today in order to schedule a free initial consultation about the financial implications of a dementia diagnosis and what action you can take.